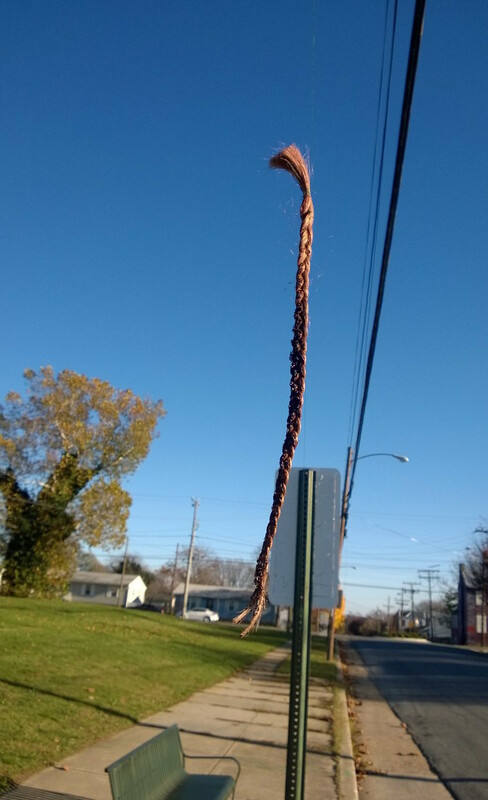 It’s always suprising to come across a discarded, perfectly formed braid – they’re too nice to just be there on the sidewalk like that. This braid, at least, has been elevated. That puts a twist on the tumble weave.